Australia - Highly detailed editable political map with separated layers. Brisbane skyline and landmarks silhouette, black and white design, vector illustration. Australia color map with regions icon. 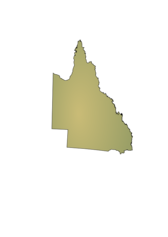 Business cartography concept Australia pictogram. Vector illustration on white background. Highly detailed editable political map with separated layers. Australia.